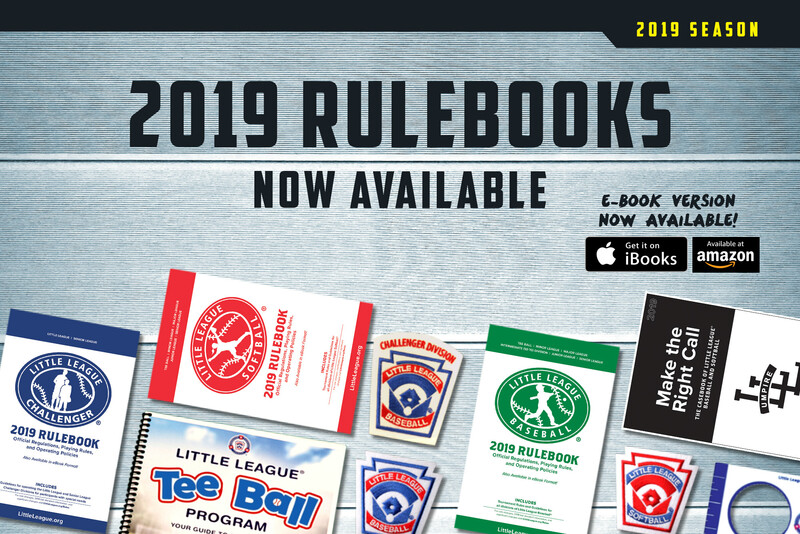 The 2019 Little League Baseball®, Little League Softball®, and Little League Challenger Division® Official Regulations, Playing Rules, and Policies are now available for purchase in hardcopy through LittleLeagueStore.net. The hardcopies of the Little League rulebooks are currently available through LittleLeagueStore.net for $7. Local Little League programs can purchase hard copy rulebooks from LittleLeaguestore.net for $2. To take advantage of this $2 offer, individuals must create an account on LittleLeagueStore.net and the discount will be automatically applied. The Little League rulebooks will also be available through the Apple and Amazon stores. The eBook format, optimized for use on all mobile devices, will feature each program’s complete rules, along with search functionality and a lower price of $4.99 per book. It is strongly encouraged that all local league Board Members, managers and coaches, umpires, and other league volunteers have a copy of the most up-to-date rulebook.